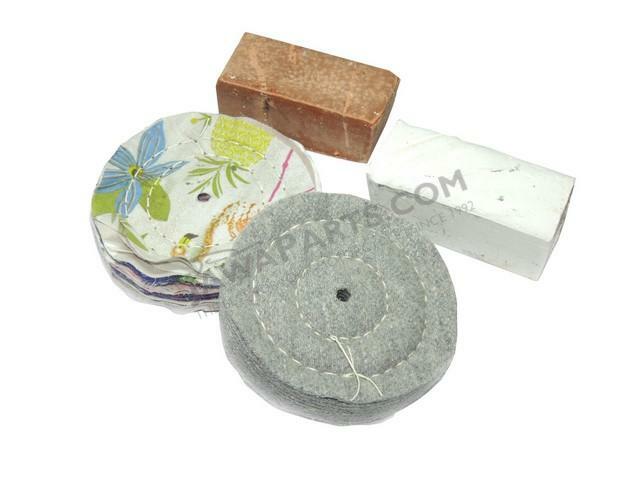 Polishing set for Medium thick oxided surface. For each type of paste, we recommend your own disc. Do not confuse disks that are used for sanding with discs that you use to polish !!! The paste is applied to the spinning wheel and gently applying to the disc for about 4sec. Application time influences the amount of the deposited paste onto the wheel and thus the abrasive effect. When decrease polishing effect, again is to be applied paste. As a second and final operation to achieve high gloss recommend Max White. For each type of paste, we recommend your own disc.